I recently get my hands on this new liquid lipstick that available in market that is Bourjois Souffle de Velvet in a shade 07 Plum Plum Pidau. Once I apply this on my lips I can feel the moisture of this liquid lipstick where it is comfortable to wear. It also suitable to be use as a balm. So, I'd love to share my thoughts about this product. Packaging: The packaging comes in a rectangular shape with a glassy kinda look but it is actually just a plastic but look classy at the same time. The size of this liquid lipstick is the same as other normal lipstick size. which is cool because you can arrange it in the lipstick holder together. I like the packaging where it is also see-through and you can see what exactly color for the liquid lipstick. No more excuse for plussizes girl out there to avoid work-out or doing sport just because you can't find a great sport outfit because now MisClaire finally came out with their SPORT COLLECTION 2016! Yahoooo.. Let's Hurray.. I know the feeling of being plussize and it is hard for you to find a comfortable cloth especially for sport/workout purpose. Glad that MisClaire come out with this brilliant idea as to provide a basic sportswear for women sized UK14 to UK22. With comfort in mind, the fabrics chosen are stretchable and highly breathable. Mis Claire stands for all women to be healthy and active, and understand the lack of plus size sportswear. This collection aims to transform the lifestyle of plus size women with outfits that can bring you from casual to active activities. Size should not stop anyone from doing what they love!
" Let Your Joy Rise to The Surface "
" The Joy of Dressing is an Art "
"I Love Being on Vacation and Never Knowing What Day of The Week is"
Have you ever heard about Pak John Steamboat & BBQ before? This place located at eCurve Damansara which is very near to my place. I always saw this restaurant and now it is the time for me to experience the environment of steamboat myself. I discover a few different things here that you could't found at any other steamboat places. Want to know what? Keep on reading..
At Park John, they serve urban cuisine consists of the latest modern food that will be the choice of many people. This place will be satisfy for anyone who steamboat fanatic. They served not one kind but all. You can either choose to sizzles all the food or put in in the soup, or both! It is up to you. Most important that you'll enjoy it. I just get back from my holiday to Sabah with my family. It was FUN and EXCITING. but the thing is I LEFT MY HANDPHONE AT HOME!!! OMG! I realize that I don't have handphone with me when we're on our way to KLIA that morning. I was sooooooooooooooo blur that time. Because the part that makes the holiday more fun is to share it on my media social (for me). But end up I'm okay with it. 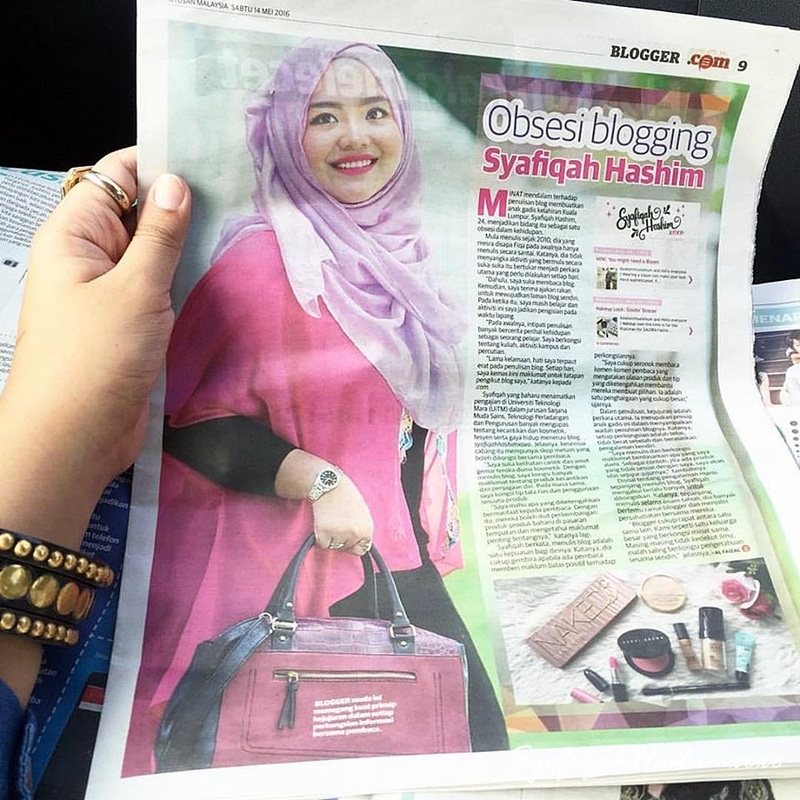 Tipu la kalau tak tergodek-godek handbag cari handphone kan.. Huhuhuuu.. Anyway, it is a lesson for me. I know everything happen for a reason, So just keep hold and trust to that. Hihhiii.. I can't believe I still survive without my phone. Huhuhuuuu.. The holiday was fun! I'm totally going to repeat again. 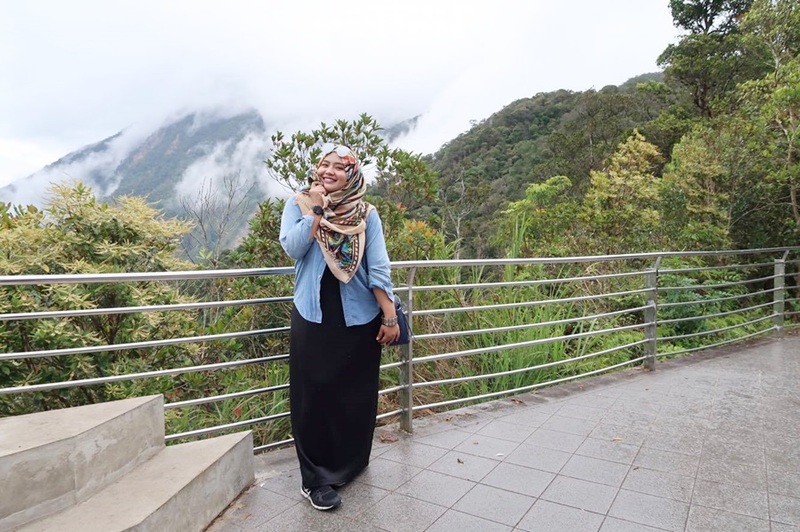 Here some sneak-peak of me during my holiday at Sabah. This is the first shades that I purchase from the 3CE Pink Rumour series but I can say that this goes to the 3rd place among all this 3 shades I had. Hihihii.. Wanna know why? Packaging: Come in Pink color packaging with a funky written on it. Same like others in Pink Rumour series. This is my second choice between this 3 shades that I had from the 3CE Pink Rumour series. Actually, it was a dilemma to choose between Cheeky Cheeky or Tell The Truth at the first place. Since I also had another lipstick color that quite similar to Cheeky Cheeky so I choose Tell The Truth as my number one pick and this goes second. Packaging: Come in Pink color packaging with a funky written on it. I like how the written of "Cheeky Cheeky" to it. Make it more funkier. As I promise in this entry, here come the first-pick lipstick from the 3CE Pink Rumour series that is Tell The Truth. If you ask me, among this trio I definitely pick this as my number one of choice because of the color! I've been loving this color on my lips. It is just the right color I'm looking for. 3CE is a short name for 3 Concept Eyes. It is a brand from Korea and widely known because of the brand and it is also favorites for all KBeauty. I recently collect their 3CE Pink Rumour Dangerous Matte Lip Color. It has 4 shades but I collect 3 of them because all this 3 come in a cute pink packaging and the other one in a normal black packaging. During my studies time at University, I used to be that person who cannot live without an eyeliner but now I'm okay with it. Hihihiii.. Eyeliner consider as essential for every girl out there doesn't matter if you are beauty junkie or not. Everyone at least must have one eyeliner right. And today, I have another eyeliner that I'm in love with and would love to share it with you guys. It is Witch's Pouch Selfie Awesome Gel liner. This eyeliner series come with 3 different shades but I only have 2 out of 3 that is Pearl Black and Pearl Brown. Packaging: It come with the box like this. also state the direction of use and so on but in Korean language. Hahaha.. Good luck on reading that :P . Anyway, if you can see that the pencil itself it has double-ended where, consist of the gel liner itself and on the other end is the brush tip and sharpener. Quite cool it think. The packaging state the color of the eyeliner so you don't get confuse to take which color when it is in a bundle of makeup/eyeliner pack. Means that via the packaging itself you can identify this eyeliner easily. When time pass and you know that you're no longer young. Huhuhuu.. It is the time for you to show an extra care for you and your skin. This is what THE FACESHOP The Therapy First Serum actually do. THE FACESHOP The Therapy First Serum is the 1st step anti-aging serum. Where it uses Water Blending Crystal Technology that allow for instant absorption in to the skin as to maximize anti-aging and moisturizing effects. It is not only anti-aging, it also gives the skin supple and glowing at the same time. Interesting right!! I come across to make a makeup tutorial for you guys. I know that I couldn't choose what color should be the best for me rather than gold eyeshadow. Because I think gold color will compliment so many skin tone . This makeup look will appear nicely and it is suitable for any event or occasion during day and night time. I called this makeup look as a Semi-Gold where it is not so obviously gold yet wearable. A Premium Printed Scarf that hits on market right now non-others than, Lady Qomash! 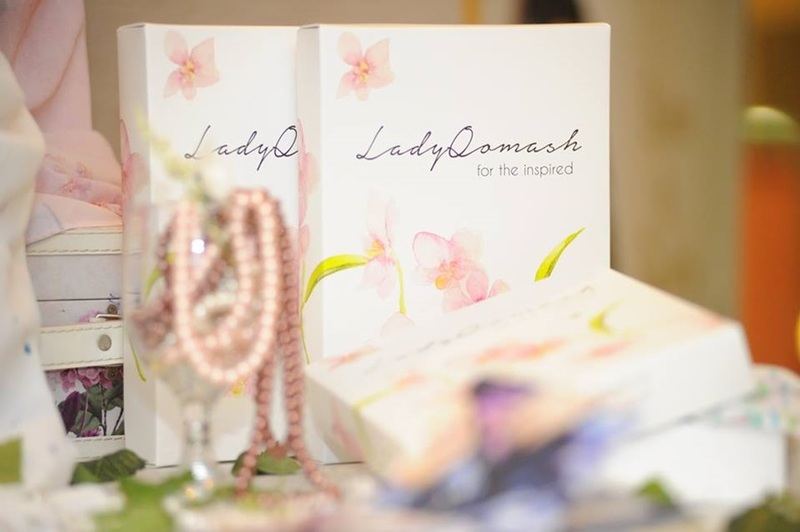 What makes Lady Qomash different from any other brands out there? It is an arts that printed on a shawls. 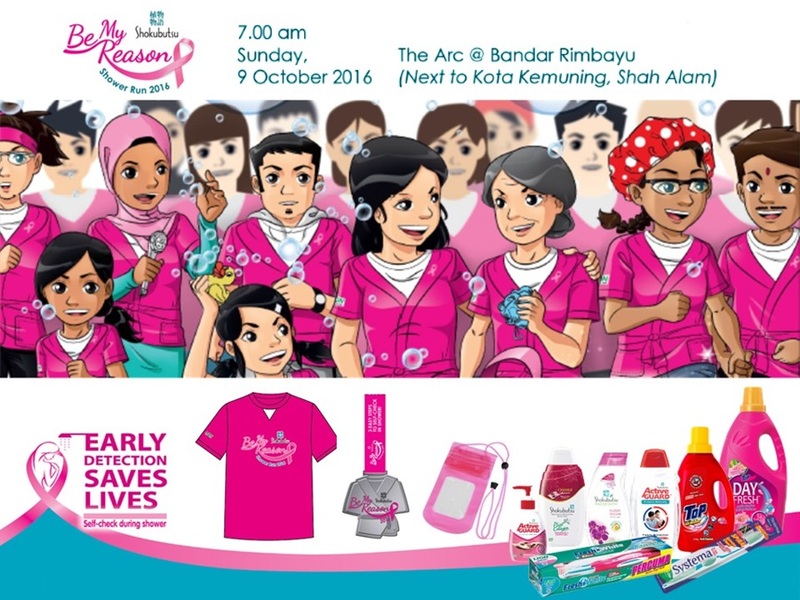 Arts that draw by The Artist, Liyana Ahmad Zaini who also the CEO of Lady Qomash. Liyana was born in the cool late 80's generation and has been drawing since the age of 3. 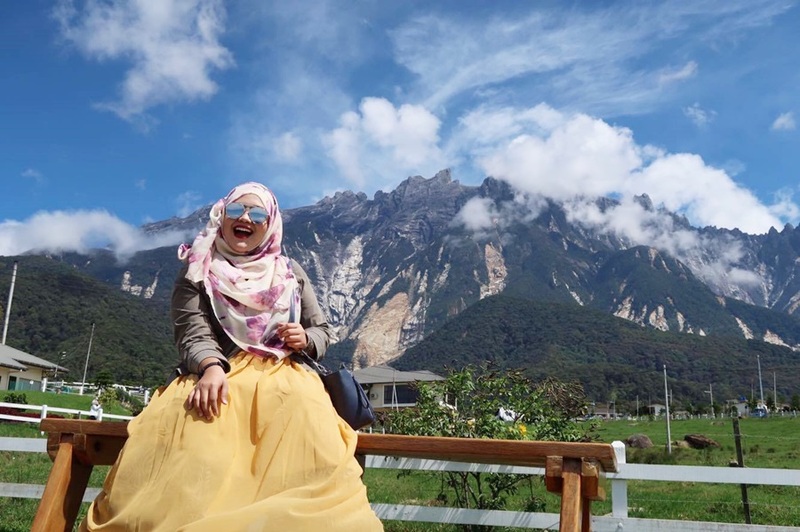 In 2015, she briefly dabbled for a local animation company, before spreading her wings independently to pursue her passion of merging two of her greatest loves, arts and fashion in a brand, Lady Qomash. As I mention about this product on my August Favorites' post. Here the full review of Etude House Play 101 Stick Contour Duo . I bet every one know about this brand Etude House already and it is famous for K-beauty branding. 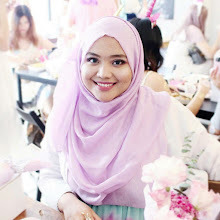 Event the Famous Korean Beauty Guru Pony favorite items. Packaging: It come in a foam of chubby pens with double ends. Brown is for contouring and shimmer white for highlights. It has clear cover so that you can see the color before use. Last week was an hectic week for me because I got in-row event. Alhamdulillah. So, I'm here to write a continue story of my Hat Yai Travelogue. You can read the previous entry HERE and the whole story from the beginning HERE. 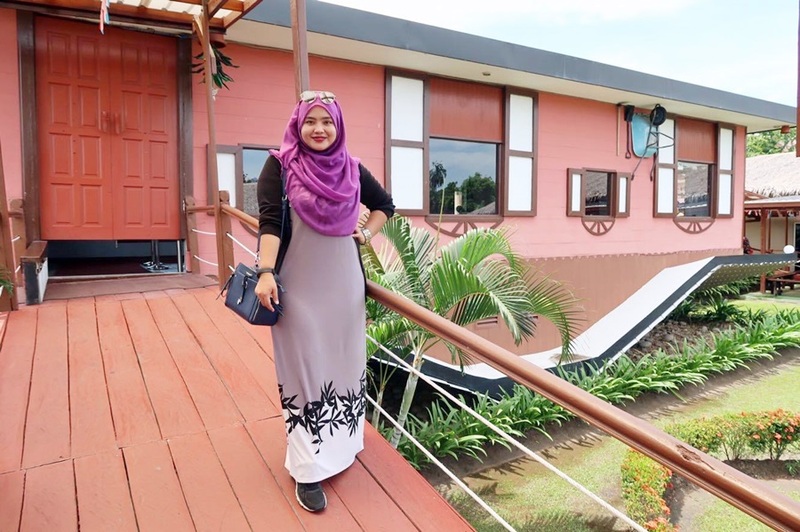 As a recap, I went to Hat Yai on early May 2016, this year. A vacation with Family always the best right. Even-though sometimes you have to go through some "drama" but that's how it is. Hehehee.. As you can see from the title itself, we went to Floating Market, Hat Yai. This is a MUST-GO place once you arrived Hat Yai. Yahh! Floating Market!! You can get cheapest price of food here and it is also delicious.